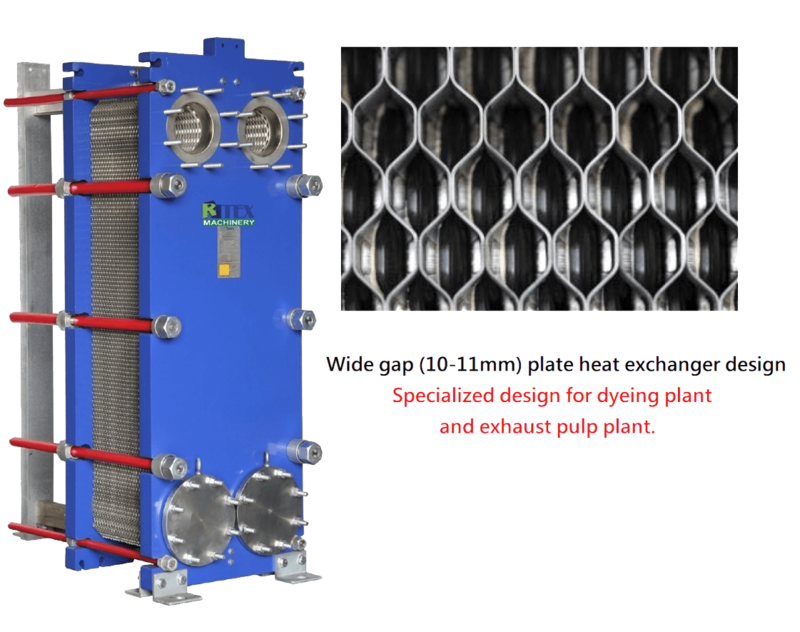 Utilize the design concept of waste hot water emission shunt in dyeing process to recover 60~70℃ waste hot water with high-efficient plate heat exchanger specialized on waste hot water recovery. 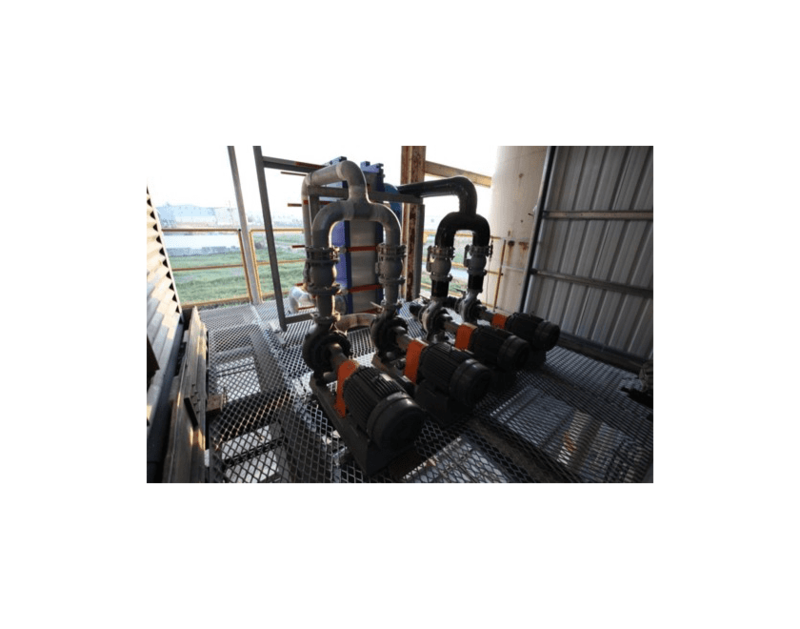 Recycling water temperature can reach 50~60℃ and can be used as processing water to reduce the production energy usage to reach the optimum efficiency. 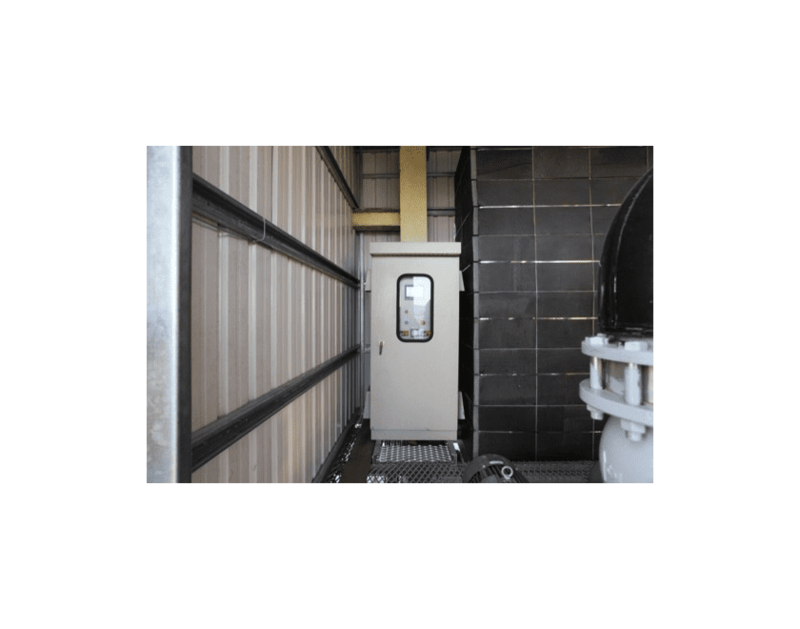 At the same time, the waste hot water temperature can be reduced to under 35℃ in order to comply with the inlet water temperature requirement of biological treatment of waste water and save the power of cold water tower. 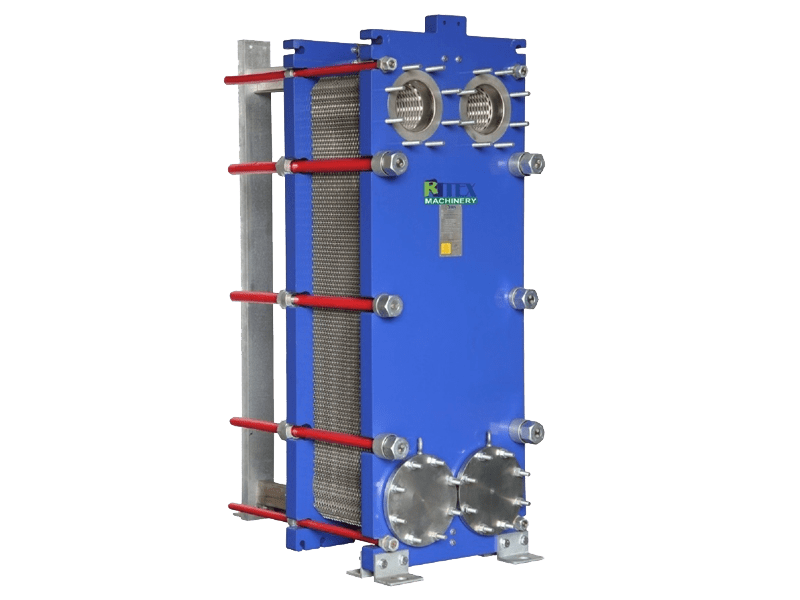 Utilize high-efficient plate heat exchanger specialized on waste hot water recovery and combine with pre-filtration system to avoid clog and frequent cleaning problem to ensure the heat efficiency. 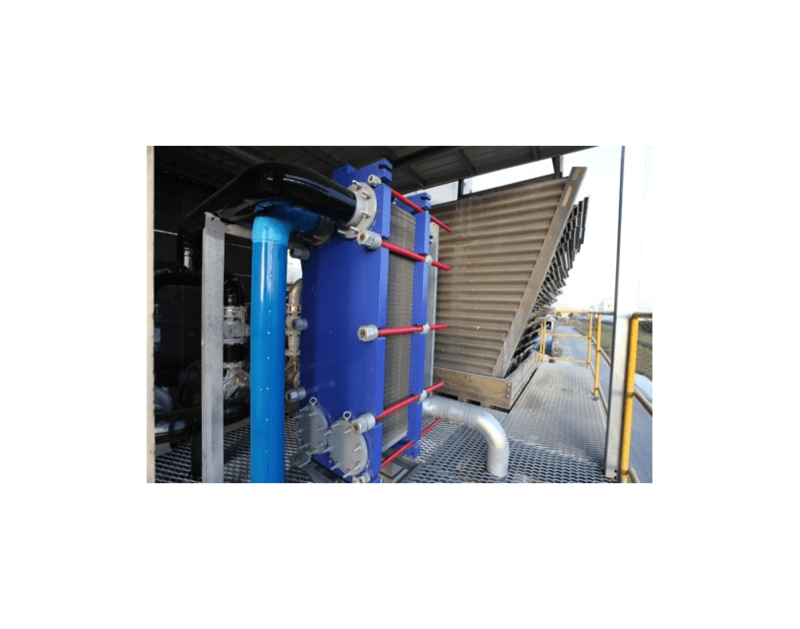 Adopt counter flow heat exchange design, the maximum temperature available for recovery is approx. 10℃ deviation from waste hot water inlet temperature. High heat recovery efficiency. 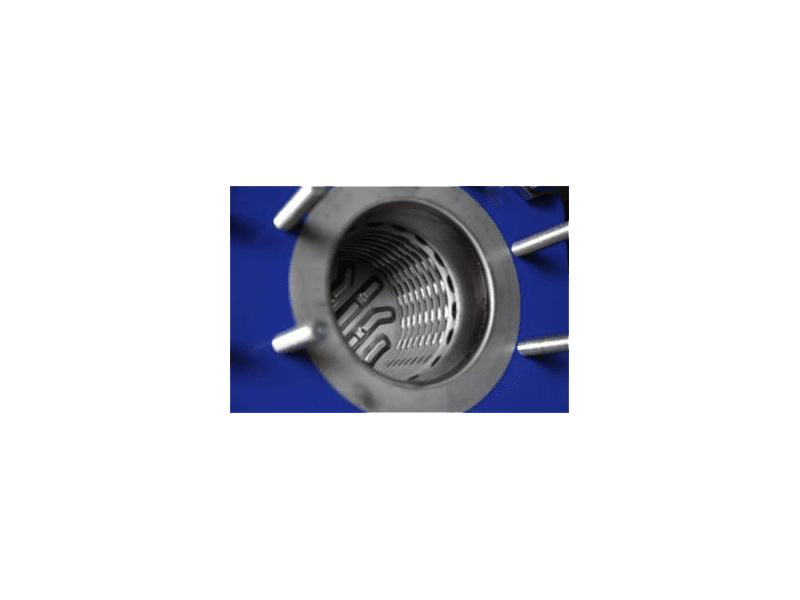 Material of the plate is made with SUS316 alloy which is acid and alkali resistance. Long life time. Wide gap plate design is suitable for waste hot water recovery in dyeing and finishing, paper pulp and etc. 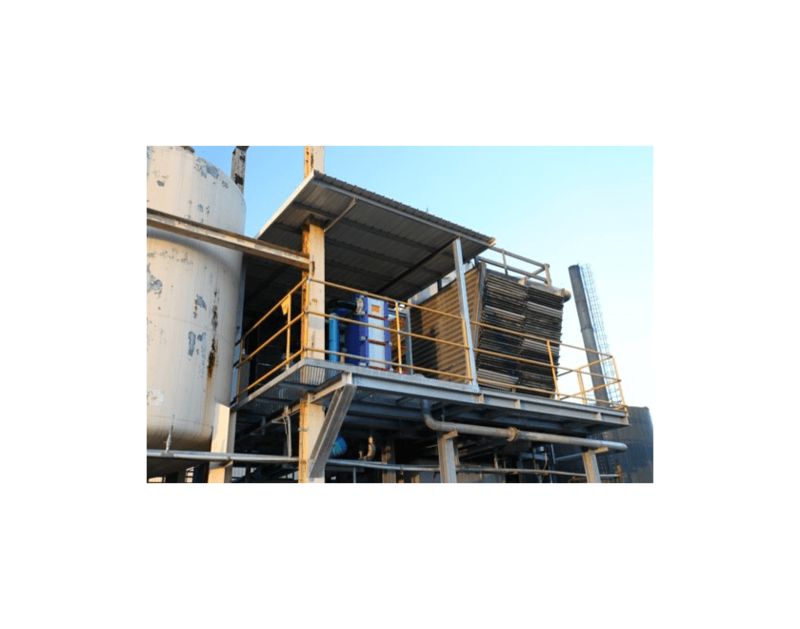 Suitable for continuously overflow de-sizing or scouring machine and batch emission dyeing machine of fabric or yarns.